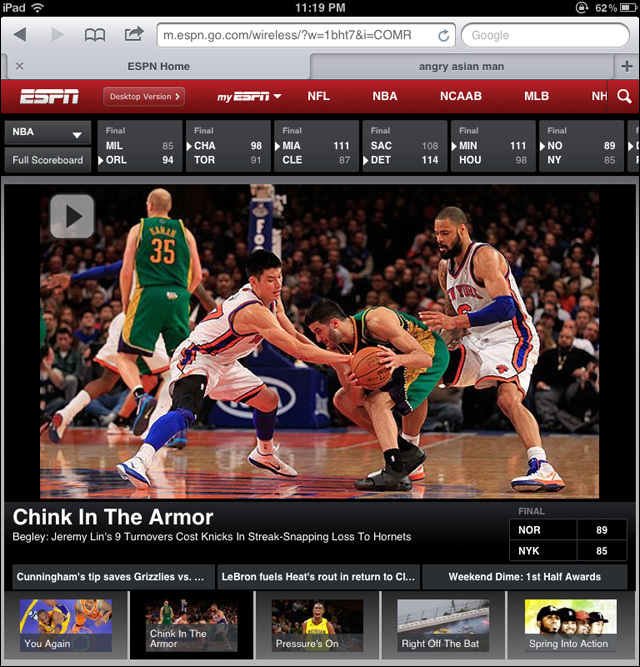 Last night, ESPN.com’s mobile web site posted an offensive headline referencing Jeremy Lin at 2:30 am ET. The headline was removed at 3:05 am ET. We are conducting a complete review of our cross-platform editorial procedures and are determining appropriate disciplinary action to ensure this does not happen again. We regret and apologize for this mistake. Yes. You better review the hell out of those editorial procedures. UPDATE: ESPN has fired the employee responsible for the headline.